We urgently need to understand the presence and absence of species and their population trends in the areas where we work. Camera-trap surveys are an effective method for doing this, but each camera trap survey produces tens of thousands of images, all of which need to be looked at. In the past ZSL’s expert scientists have done this work, but this can involve weeks or even months of painstaking effort. To speed up this process, ZSL is crowd-sourcing the identifications through our Instant Wild App. Another method that has huge potential to transform our work is automated image recognition, using the power of machine learning to complete large scale species recognition within images. By using the essentially limitless processing power of computers to do the hard work of identifying species within images, we can dramatically speed up the analysis of camera trap surveys and monitor wildlife trends in near real time. Is there a human in the image? What species group (i.e. bird) are present in the image? What specific species are present in the image? How many animals are present in the image? Previous research has shown that machine learning shows great promise in helping camera-trappers obtain accurate identifications for their images. However, significant challenges remain. Expert knowledge is currently needed to train and test machine learning algorithms, which can be complex and time-consuming. These methods also depend on having a large number of training images that have already been identified manually, and data must be prepared in a specific way for the algorithms to work (for example, cropping images around the animals present in the images). These represent significant barriers for conservationists and researchers working in the field, stopping the broader uptake of these methods. To overcome these barriers ZSL is working with Google Cloud in San Francisco, along with data owners Oliver Wearn and San Diego Zoo, to develop platforms for training and testing machine learning algorithms capable of identifying species in the thousands of camera trap images coming in from the field. 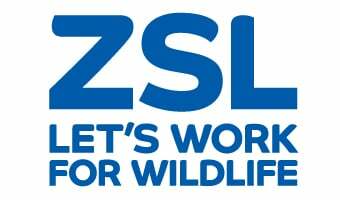 ZSL is working with Google to aggregate vast data archives, test specific species recognition models and refine machine learning algorithms, to be easily applied to our field work. This collaboration has included the development of Cloud Auto ML Vision, which aims to democratise AI by allowing organisations and individuals with limited machine learning expertise train image recognition models for their own use cases. We have been helping Google achieve their aims by providing training data, advising on how these models would be used by non-AI experts in the conservation community and testing the usability of the platform. Our ultimate goal is to help create a tool that can be easily used by any conservationists who has collected large amounts of images, so they can train a model specific to their region of study and apply this model to assist them in classifying their images. ZSL is also working with Google and Kaggle to engage other leading data scientist around the world in this coding challenge so we can continually optimize and improve the machine learning models.